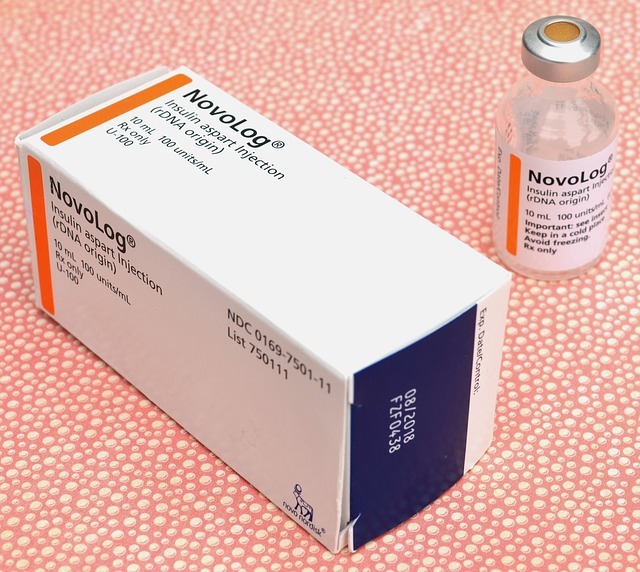 Insulin is a hormone that is produced by the beta cells of the Islets of Langerhans of the pancreas in response to high levels of sugar in the blood. Insulin is made of amino acids and consists of two chains named an A chain and a B chain, that are joined together by sulfur bonds. Insulin is produced from a proinsulin hormone that actually has three amino acid chains. An enzyme modifies the hormone in such a way that only the A and B chain remains to form insulin. The secretion of insulin is mainly triggered by high blood sugar levels (hyperglycemia) in the arterial blood. Some types of fatty acids, keto acids, and amino acids can also trigger insulin secretion. As blood sugar levels decrease so the levels of insulin decrease, ensuring that no more insulin is secreted than is necessary. Insulin has the effect of causing the uptake of glucose into fatty tissue (adipose) and stimulating the uptake of fatty acids. Insulin also stimulates the uptake of glucose into the liver and into the muscle. In muscle tissue and in liver tissue the glucose is converted into glycogen in the process of glycogenesis. Glycogen is how glucose is stored in the human body. Insulin stops the breakdown of glycogen in the liver and stops the formation and release of glucose into the bloodstream. Insulin really triggers the uptake of glucose into the tissues and thus results in a lowering of blood sugar levels. Diabetes is an illness in which there are problems related to insulin. In type 1 diabetes insulin is not released while in type 2 diabetes the insulin is produced but cells no longer respond to the insulin. Diabetics may have to take insulin injections to compensate for a lack of insulin. Glucagon is a hormone produced by the alpha cells of the Islets of Langerhans of the pancreas in response to low levels of sugar in the blood. Glucagon is a protein that consists of a series of 29 amino acids that are linked together. Glucagon is produced by modification of a proglucagon hormone. A prohormone convertase enzyme modifies the proglucagon to form glucagon. The secretion of glucagon from alpha cells is triggered by low blood sugar levels (hypoglycemia), and by exercise. Other triggers for secretion of glucagon include epinephrine and acetylcholine. The secretion of glucagon is important in ensuring enough blood sugar is released into the bloodstream during times when a person is not eating, or during times when more sugar is needed, such as during exercise. Glucagon acts to increase the levels of glucose and fatty acids in the blood. It also causes the liver to break down and convert glycogen into glucose in a process called glycogenolysis. The result is that blood glucose level will increase. The presence of a tumor in the alpha cells of the pancreas can result in too much glucagon being produced. Cirrhosis of the liver can also result in high glucagon levels (hyperglucagonism). Insulin is a hormone secreted by the beta cells of the Islets of Langerhans in response to high blood sugar levels. In comparison, glucagon is a hormone secreted by the alpha cells of the Islets of Langerhans in response to low blood sugar levels. Insulin consists of 51 amino acids formed from an A and B chain that is linked together, while glucagon consists of 29 amino acids. Insulin is formed from a proinsulin precursor while glucagon is formed from a proglucagon precursor molecule. Insulin is secreted most often in response to high blood sugar levels, but also when certain keto acids, fatty acids, and amino acids are present. 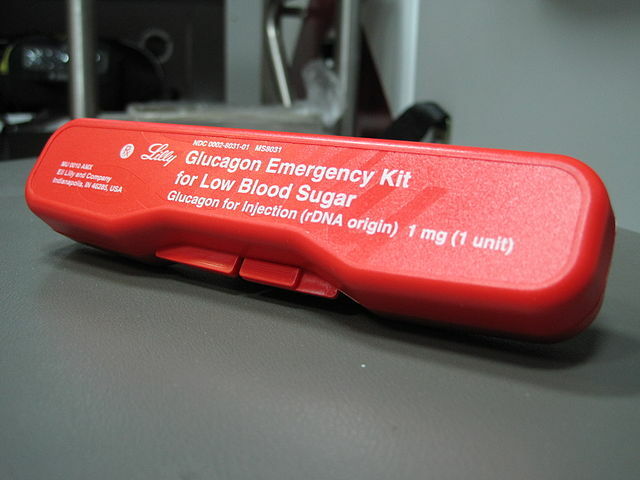 Glucagon is secreted in response to low blood sugar levels and in response to exercise, epinephrine, and acetylcholine. Insulin has the effect of decreasing levels of blood sugar and fatty acids. It stimulates the uptake of sugars into the liver and conversion of glucose into glycogen. In comparison, glucagon has the effect of increasing levels of blood sugar and fatty acids. It increases the breakdown of glycogen to form glucose. Diabetes type 1 and type 2 can cause too little insulin to be produced or a there can be a reduced response to insulin. An alpha cell pancreatic tumor or cirrhosis of the liver can cause too much glucagon to be produced. Insulin and glucagon are both endocrine hormones that are involved in blood sugar regulation. Insulin and glucagon work in opposition to maintain healthy blood sugar levels in the body. Insulin is secreted when blood sugar is too high while glucagon is secreted when blood sugar is too low. Insulin stimulates glycogenesis in which glucose is converted into glycogen for storage, while glucagon stimulates glycogenolysis in which glycogen is broken down into glucose. Blood sugar is decreased by insulin and increased by glucagon. Abnormalities in the levels of the hormones can occur. Diabetics can have too little insulin produced while people with cirrhosis or pancreatic tumors can have too much glucagon produced. Dr. Rae Osborn was educated in South Africa and the United States. She holds Honors Bachelor of Science degrees in Zoology and Entomology, and Masters of Science in Entomology from the University of Natal in South Africa. She has received a PhD in Quantitative Biology from the University of Texas at Arlington as well as an AAS Degree in Information Network Specialist and an AAS in Computer Information Systems, at Bossier Parish Community College in Louisiana.Her skills lie in research and writing for a range of educational levels and teaching various Biology classes. She has been trained as a lecturer, researcher and computer scientist. She has experience as a writer, researcher and as a college teacher, and is currently working as a freelance writer and editor.Her accomplishments include receiving tenure and being promoted to Associate Professor of Biology in the United States and publishing papers in peer-reviewed journals.Her hometown is Pietermaritzburg in South Africa where her main interest and hobby is bird watching. Dr. Rae Osborn. "Difference Between Insulin and Glucagon." DifferenceBetween.net. March 5, 2019 < http://www.differencebetween.net/science/health/difference-between-insulin-and-glucagon/ >. Insulin faciliates conversion of excess glucose into glycogen, a storage form of glucose while glucagon converts stored glycogen to glucose. 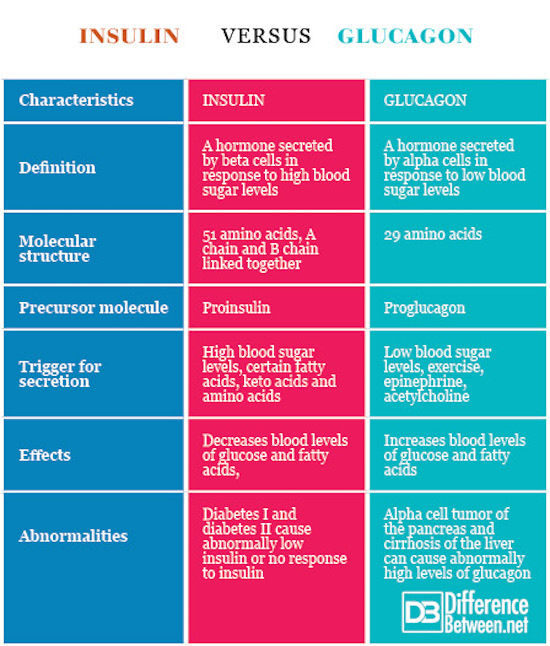 Nice and detailed article on the differences between insulin and glucagon. Cryer, Philip E. "Minireview: Glucagon in the pathogenesis of hypoglycemia and hyperglycemia in diabetes." Endocrinology 153.3 (2012): 1039-1048.